Call us at 315-536-7488 for information on becoming a Finger Lakes Tourism Alliance Partner or to discover more about Finger Lakes Tourism Alliance partner opportunities. To become a Finger Lakes Tourism Alliance Partner, please complete the form below or see additional submission opportunities below the form. This will be placed on your partner page on FingerLages.org. An edited 30 word description can be provided once your partner page is set up and will be included in your Community Listing description in the 2019 Travel Guide. This description can be edited at any time through your business specific partner login account on www.FingerLakes.org! NOTE: Businesses are allowed ONE PHOTO on their partner page. Please email photo to FLTA. Additional photos may be purchased. Please be sure to fill out grid information on the following page, if applicable, before submitting this form as completed. Billing will be provided for partnership agreement by the Finger Lakes Tourism Alliance as soon as your information is received and processing of your Partner Application has begun. For your applicable business heading, please fill out the corresponding grid information for visitor information on FingerLakes.org as well as for your travel guide listing. Additional information such as months of operation can be added to your partner page description for visitor reference. If you would prefer to fill out FLTA Partnership Information in hard copy format, print out the document '2019 FLTA Partnership Application' below, fill in necessary fields, and scan and email to JessicaR@FingerLakes.org or fax to 315-536-1237. 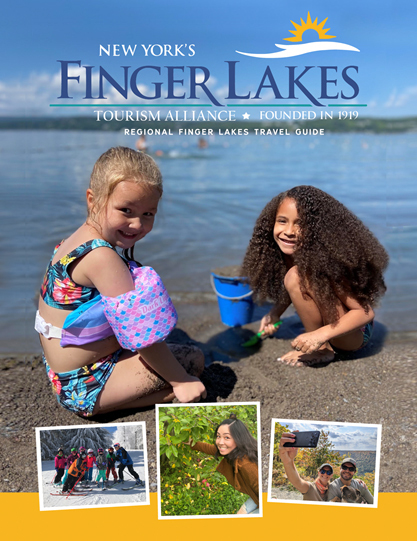 Please click the link below to review the catalog of 2019 Partner Opportunities with Finger Lakes Tourism Alliance. If you are interested in signing up for a program today, you can print out the appropriate form and fax back to 315-536-1237. Please contact the FLTA office with any questions or to set up an appointment to meet. Reach us at info@fingerlakes.org or 315-536-7488. Add our logo/button and website link (http://www.fingerlakes.org) to your website!